Once upon a time, if you lived in New York City and had an interest in learning grappling, you either went to Renzo Gracie's academy, dropped by one of the budding boutique jiu-jitsu schools that were sprouting up here and there, or just went to Oishi Judo's open mat night. That was it, and "it" was expensive. But with time there came to be another, less costly option, and it involved shelling out $25 for a year-long New York City Department of Parks & Recreation membership, going to the Hamilton Fish Recreation Center on the Lower East Side, and helping unfurl the mats for Tuesday/Thursday meetings of the Twin Towers Wrestling Club. Wrestling was, of course, the focus of the club. However, some of the members did work on submissions, and now, with years of training and competition under their belts (plus the infusion of some high-level instruction), they Twin Towers Wrestling Club has some serious badasses. 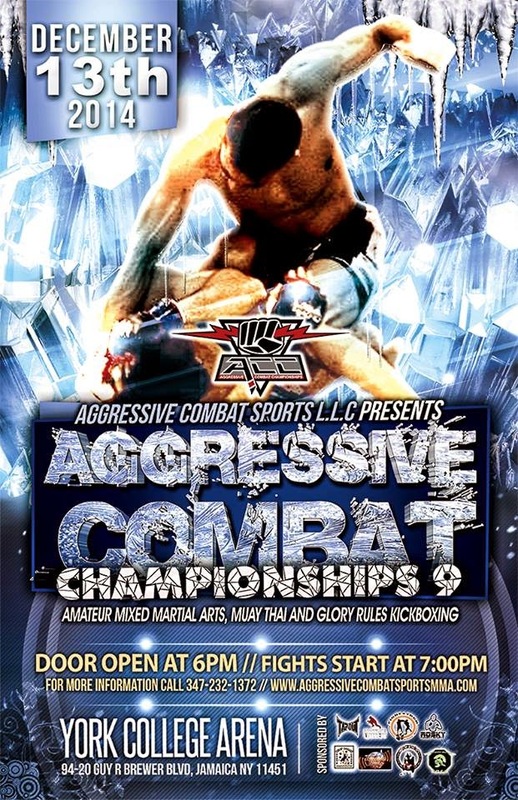 One such dude is Pedro Villa, who's fought in a few of the Big Apple's MMA promotions, and on Saturday will be stepping into the cage at Aggressive Combat Championships 9. Here's Villa in action - as you can see, he's one tough cat. Update: Apparently the bulk of Pedro's training is done at Empire MMA. Apologies to the folks at that school for overlooking them.